British milk. Double layer of sauce. Thick 'n' creamy. Gluten free. Natural ingredients. 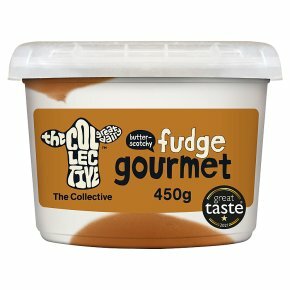 Vegetarian friendly.Taking its name from a classic Kiwi caramel fudge, that's a bit akin to Scottish tablet, prepare yourself for a treat that should carry a warning' it's that good! Our thick 'n' creamy signature yoghurt encased by layers of fudgey decadence...no bull!